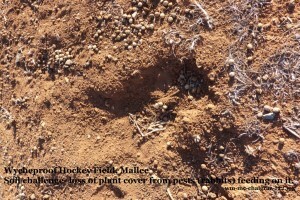 -Not enough nutrients needed by grass l– fertiliser added and grass seeds for a thicker cover than normal with this soil. 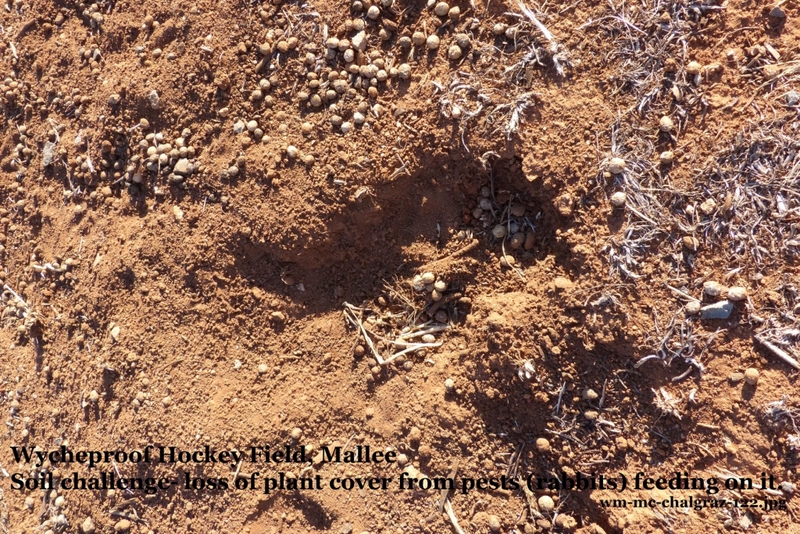 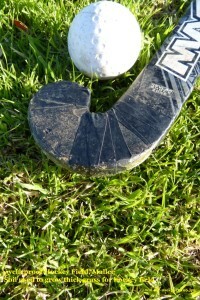 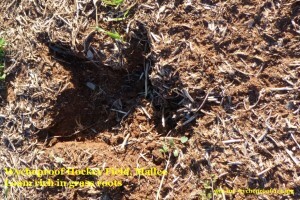 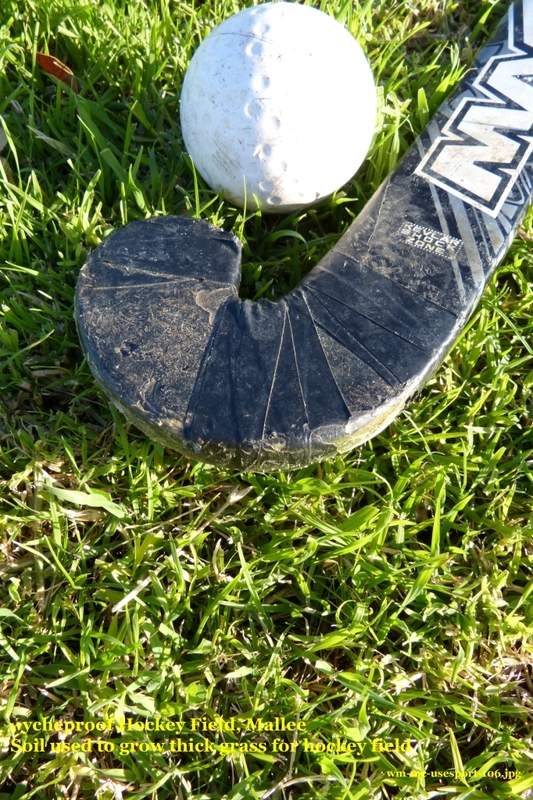 – Soils exposed in holes from cockatoos digging up roots, feral animals eating grass, and divets from hockey games- maintenance of grass cover. 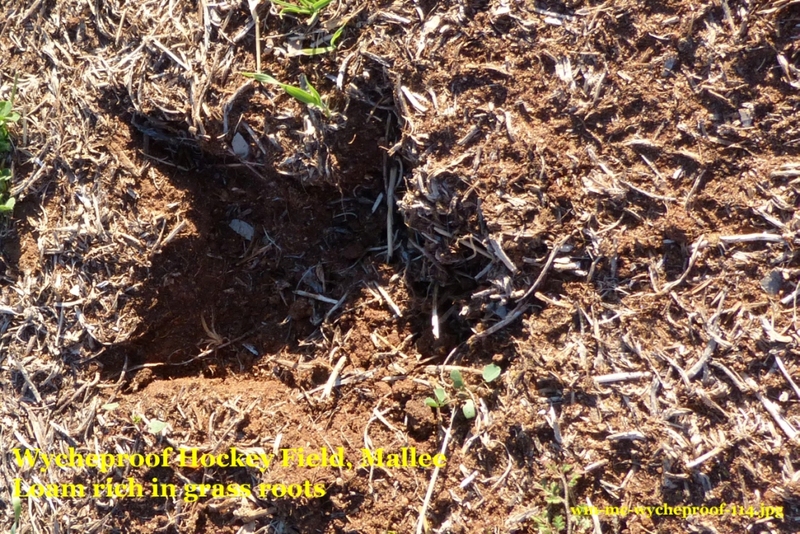 – soils supporting rural sports facilities in Soil Selfies from Rifle Butts and Tractor-pull tracks at Warracknabeal, to BMX tracks in Adelaide, South Australia and mountain bike trails in the Silkeborg Forest in Denmark.